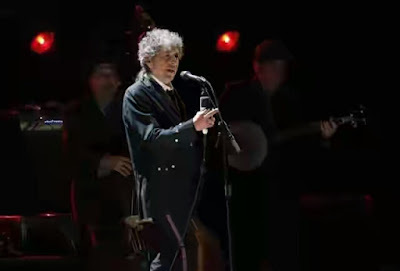 The committee that awarded the Nobel Prize in Literature to Bob Dylan had said on Saturday that, it was up to the American singer-songwriter whether to attend the prize-giving ceremony later this year or not. Dylan has not yet made any comment on the 8 million crown ($900,000) prize, despite repeated attempts by award-givers the Swedish Academy to contact him since it named him as the winner on Oct. 13. On Saturday, Swedish media reported that Academy member Per Wastberg had said that if Dylan remained silent, it would be "rude and arrogant". The Academy, however said Wastberg's comments did not reflect their view. "The author awarded the Noble Prize makes up his or her own mind regarding the ceremonies involved in the presentation of the prize," Sara Danius, Permanent Secretary of the Academy, said in a statement. "The Swedish Academy has never held a view on a prize winners decision in this context, neither will it now, regardless of the decision reached." The AcademyAcademy had earlier gave 75-year-old Dylan the prize for "having created new poetic expressions within the great American song tradition". It was a controversial choice. 0 Comment to ""Its up to Dylan if he wants to come to receive Nobel Prize"- Swedish academy"